Our range of exclusive glasses is produced by John Jenkins & Sons Ltd, a family business with a long-established reputation as one of the finest manufacturers of high-quality bespoke glassware. The objective is quite simple: to produce a small range of glasses which, firstly, look supremely elegant on the table and, secondly, deliver wine to the palate of the consumer in a way that maximises its enjoyment. We also, however, wanted to ensure that our glasses were practical for modern life (with the ability to survive the turbulence of dishwashers) and hardy enough to withstand the odd scrape with destiny. When developing the range, John Jenkins consulted our world-class events team and expert Buyers, ensuring that each glass lived up to our very high standards. The final five designs were individually approved by Simon Berry (Chairman 2005-17), and – to confirm our seal of approval – these are the glasses that we ourselves use, from professional tastings at our offices to any event that you may attend in the cellars at No.3 St James’s Street. Francis Berry (Simon Berry’s grandfather and the first Berry to produce a range of glasses) believed that it was possible to enhance your pleasure of wine by using better glassware instead of buying more expensive bottles. This range proves his point to perfection. 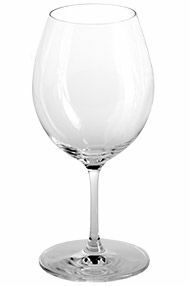 Designed to be slightly smaller than a modern wine glass, our simple and elegantly balanced Original Wine Glass has been designed to cater to most grapes and regions. Created in consultation with our world-class events team and expert Buyers, these glasses were made by British glassware-maker John Jenkins and individually approved by Simon Berry (Chairman 2005-17). The Original Glass (sold in a box of four) is part of our range of Wine Merchant’s Glasses. Measuring 158mm high, each glass can hold up to 260ml. Burgundy, red and white, is perhaps one of the most sensual of wines, and we have sought to design a glass which reflects this characteristic. A wide bowl maximises aromatic expression and the rim is marginally fluted outwards, directing the flow of wine to the palate where its natural richness is emphasised. 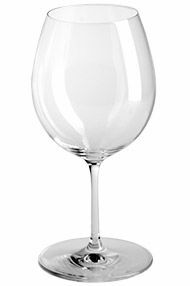 Whilst being ideal for Chardonnay and Pinot Noir from all parts of the world, this glass will also be excellent for broad-flavoured, richly-textured whites (think Rhône, Rioja or Pinot Gris) and the powerfully aromatic reds of Piedmont, such as Barolo and Barbaresco. The Burgundy Glass (sold in a box of four) is part of our range of Wine Merchant’s Glasses. Measuring 192mm high, each glass can hold up to 510ml. Saucer-shaped coupes are now relegated to the world of cocktails; and the world has moved instead to flutes. Although elegant, the flute does not allow for the fullest aromatic expression of a Champagne, as the top of the glass is narrow. We have created a glass with a wider, fuller bowl to enable greater appreciation of the wine’s aromas – particularly important when drinking Champagnes with age. 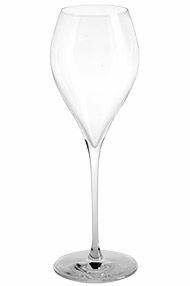 The glass has a deep “v” shape at the base of the bowl, the bottom of which has been laser-etched to ensure that a brilliant stream of fine bubbles rises effortlessly up the glass. 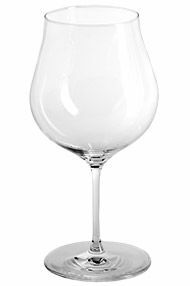 The Champagne Glass (sold in a box of four) is part of our range of Wine Merchant’s Glasses. Measuring 221mm high, each glass can hold up to 230ml. Our Wine Merchant’s White Wine Glass is designed to bring the best out of white wines – from fresh, aromatic Sauvignon through to richer styles of Chardonnay. Classic in style and shape, the elegant bowl is wide, allowing the wine contact with oxygen so that it’s flavours and aromas develop with time in the glass. 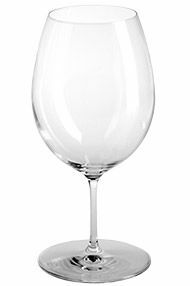 The White Wine Glass (sold in a box of four) is part of our range of Wine Merchant’s Glasses. Measuring 188mm high, each glass can hold up to 430ml. The key to a good red wine glass is to have a bowl of depth and breadth, with the rim slightly tapered at the top to concentrate the bouquet. Some fashionable examples are so big that they can hold almost a whole bottle of wine, and sometimes this means that the aromas of a more delicate wine can seem lost – ours, therefore, is of slightly more diminutive stature to capture the full expression of the wine. 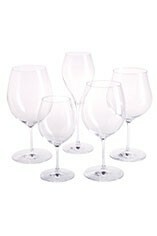 The Red Wine Glass (sold in a box of four) is part of our range of Wine Merchant’s Glasses. Measuring 200mm high, each glass can hold up to 600ml.